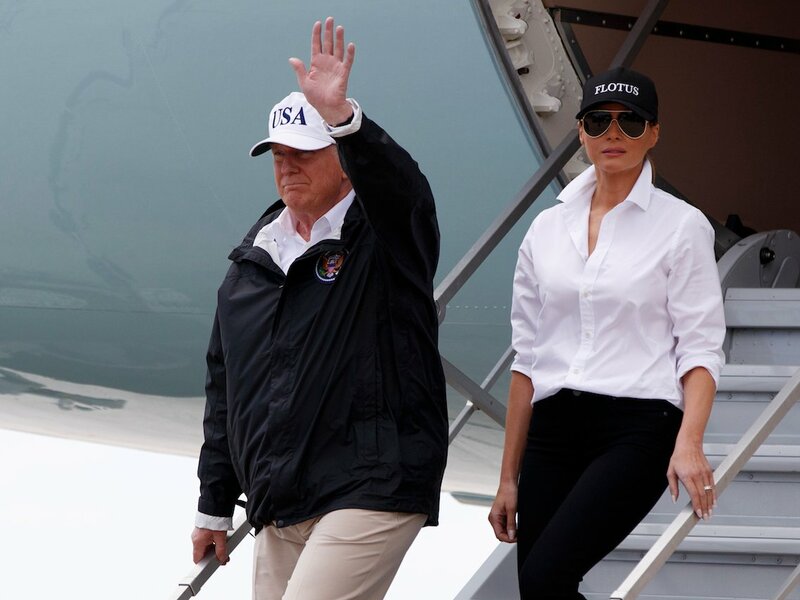 Babyman and Flotus visited Texas yesterday to look over the flood damage. I found that annoying, because when presidents go anywhere, that means a lot of resources have to be reassigned for security purposes. And when Houston is 30% underwater, emergency officials don’t need to be bothered with babysitting a temperamental twit. The krusty klown krapmeister is hawking multiple hats to his mindless minions. What has also received air time? 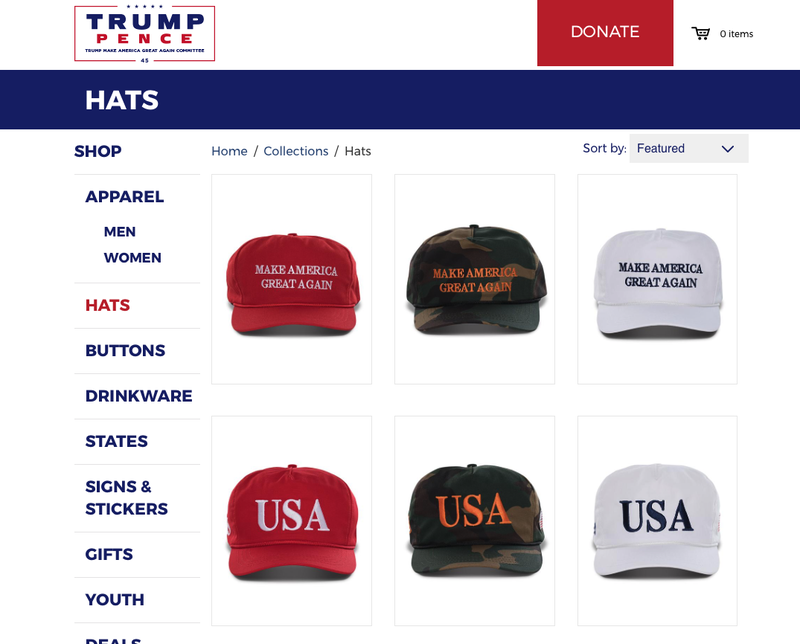 The “Official USA 45th Presidential Hat,” for sale by Trump’s campaign for $40. 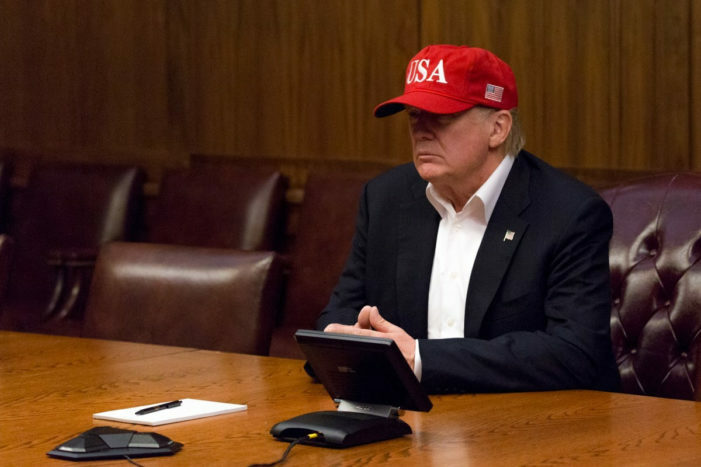 The watchdog group Citizens for Responsibility and Ethics in Washington, or CREW, points out that the president has been pictured wearing the hat, both in red and in white, in two official photos released by the White House. He wore the white version on his trip to Houston Tuesday. “Even removed from the hurricane, it’s pretty inappropriate,” CREW spokesman Jordan Libowitz said. The issue at play here is free advertising for Trump products, according to CREW. Thanks, pump truppets. You’ve just turned human suffering into a selling opportunity. This entry was posted in Advertising, Fascism, Fashion, GOP, Liars, Natural disasters, Stupid people by brobrubel. Bookmark the permalink. Sheesh–I was going to say “I can’t believe this!,” but I think it’s more accurate to say that I can, but “can’t believe that I can…and should’ve expected it somehow.” Oh heavens, do you have to protect your rug so badly and obviously?